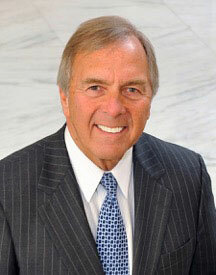 To kick off its new 'Community Leadership Breakfast Series,' Southside Senior & Community Center presents Former United States Representative George Nethercutt, who will speak on 'Restoring American Citizenship.' A served breakfast will precede Mr. Nethercutt's remarks. This will take place Wednesday, August 26, breakfast served at 8am. This presentation marks the debut of the Center's 'Community Leadership Breakfast Series,' which allows and encourages the community to hear and interact with some of the region's most dynamic and accomplished leaders as they address topical subjects in an informal and supportive setting. Mr. Nethercutt's topic is 'Restoring American Citizenship'. In honor of National Senior Citizen's Day, celebrated each August, he will also address concerns of relevance to seniors because, as he says, he is one. Humorist Tim Behrens will provide some brief entertainment. Tickets are $25 for breakfast and the speech. Call 509-535-0803 and ask for Community Breakfast tickets. Seating is limited so purchase tickets early. Southside Senior & Community Center is located at 3151 East 27th Ave., on Spokane's South Hill, just north of the Lincoln Heights Shopping Center. Banner Bank has announced the appointment of Ken Larsen, senior vice president and mortgage banking director, to the Washington State Housing Finance Commission (WSHFC). Appointed by Governor Jay Inslee, Larsen's term runs through June 30, 2019. The WSHFC is a volunteer board appointed by the Governor of Washington to represent various geographic, business, and public interests. The commission is dedicated to increasing housing access and affordability for the people of Washington through various programs to people seeking to purchase a home, and access to bond and tax credit financing to developers of multifamily and non-profit housing. Larsen, who is currently the chairman of the Washington Mortgage Bankers Association, has been involved in the mortgage industry in the Pacific Northwest for more than 25 years. As a champion of ethical and sound lending practices, Larsen also participates in multiple local, state and national organizations to promote the mortgage lending industry. 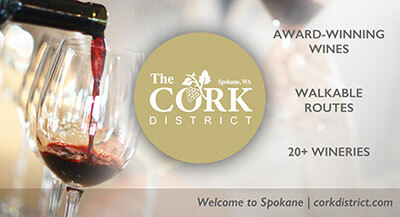 RSVP at the MAS website www.maspokane.org by Monday, August 10 to guarantee your spot. Lunch will be provided at a cost of $25 for members and $40 for non-members. For more information, contact Katie Fitzpatrick at katief@garco.com or April Smith at asmith@geoengineers.com. 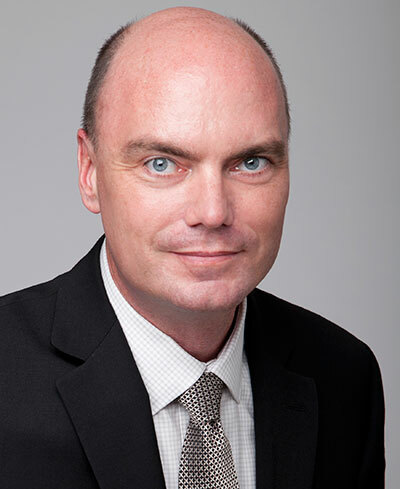 RiverBank CEO Daniel Byrne announced the appointment of Norman Judd as Executive Vice President, Chief Financial Officer effective July 13. Mr. Judd comes to RiverBank with over 25 years of experience in public accounting, banking and the healthcare industry as a financial executive and investment portfolio manager. Judd graduated from the University of Idaho with a B.S. in Business and Major in Accounting and is certified in Bank Cost and Management Accounting. He is an active supporter of various children's health causes including a former board member and treasurer of the Inland Northwest Division of the March of Dimes. The Greater Spokane Valley Chamber is leading the effort to build a collaborative inclusive agenda for the future of their community. Over 1,000 thoughts and ideas have been gathered from citizens, businesses and civic leaders in the Greater Spokane Valley region. Now, reviews and selection will begin for the best ideas that will shape the future of the Greater Spokane Valley for many years to come. Starting today, participants will be invited to review and rank the collected thoughts. The conversation began July 7, but people who live and/or work in any of the Greater Spokane Valley communities can still be part of the process. Join the BIG 5 conversation by August 4. Visit: spokanevalleychamber.thoughtexchange.com/invitation. - July 27-Aug. 4: Participants will be invited to review and rank the collected thoughts. - Aug. 5-23: Thoughts and ideas will be reviewed by ThoughtExchange team of analysts. - Sept. 25: The BIG 5 will be revealed at the Greater Spokane Valley Chamber's Business Connections meeting, 7-9 am at CenterPlace. Red Lion Hotels Corporation (RLHC) has announced its new construction property, Red Lion Ridgewater Inn & Suites Polson in Montana, has officially opened. The Red Lion Ridgewater Inn & Suites Polson, 209 Ridgewater Drive, is located at the south end of Flathead Lake, one of the most scenic lakes in the Pacific Northwest. The hotel has 80 guest rooms, 32 of which are suites, and nearly 3,500 square feet of meeting space overlooking the lake. Guest amenities include an indoor pool, hot tub, fitness center, business center, guest laundry facilities and complimentary Wi-Fi and breakfast. The Global Leadership Summit is designed for business and community leaders, board members, pastors, teachers, civil servants, politicians, and anyone who has the opportunity of influence and the desire to positively impact their world. This will be a very informative event, offering insights, developmental tools and inspiring perspectives from leaders all over the world who are committed to making lasting, positive change in the spheres they influence. On August 6-7, over 190,000 church and business leaders will gather for The Global Leadership Summit broadcast live via satellite from the Willow Creek Community Church, Chicago, to more than 300+ satellite sites across North America. Life Center Foursquare Church is one of those sites. Among this year's speakers will be: Bill Hybels, Founder & Sr. Pastor, Willow Creek; Sallie Krawcheck, Former President Bank of America's Global Wealth & Investment Mgmt; Ed Catmull, President of Walt Disney Animation Studios, Co-founder of Pixar Animation Studios; Horst Schulze, Founding President & Former COO, The Ritz-Carlton Group, and many more. To register or for more information, visit www.willowcreek.com/summit. 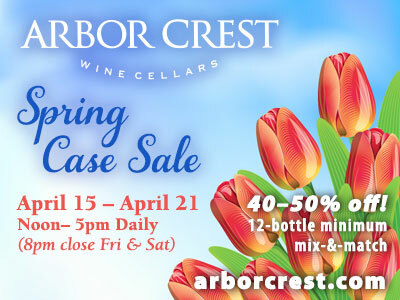 A special outdoor Yogo/Pilates class will be presented at Arbor Crest Wine Cellars by renowned instructor Larkin Barnett. 'Class and a Glass: A Yoga & Wine Event' will be held at Arbor Crest Wine Cellars, Wednesday, August 5 from 5:30 - 9 pm. This $35 event includes professional Yoga instructors Larkin Barnett and Lauren Merrithew, guided Yoga/Pilates class for all levels, live curated music, refreshments and gourmet snacks, glass of wine and keepsake Arbor Crest glass. Plus an exclusive after-class fellowship in the Cliff House gardens with epic views of the sunset. Participants will need to bring their own mats. The event is open to ages 21 and over only. Pre-registration and payment is required. Call 509-927-8571. Julie Saucier, founder of Group Coordinators, a Spokane based tour operator, won the Small Business of the Year award (now called the Angora Awards) from the Spokane Chamber of Commerce, back in 1992. Now, in business for 30 years, Group Coordinators is still going strong, offering tours for corporate, convention, student and tour groups throughout the Pacific Northwest and Montana. Visit www.groupcoordinators.com for more information. Next Wednesday, August 5, Spokane SCORE Workshop on How To Start a New Business will be held in the SBA Training Room, 801 W Riverside, Suite 444, from 8:30am to 12:30pm. Learn step-by-step consideration of legal, tax, insurance, accounting, business planning, and funding topics that you need to address to successfully start a business. Gerald Kobluk has been elected to Paine Hamblen's Executive Committee. Mr. Kobluk has been a partner with the firm since 2002. His practice focus is in complex litigation regarding tort liability and medical malpractice defense, and representing healthcare providers in matters including risk management, corporate compliance, payer reimbursement, and professional license and disciplinary actions. Mr. Kobluk also teaches Healthcare Law.